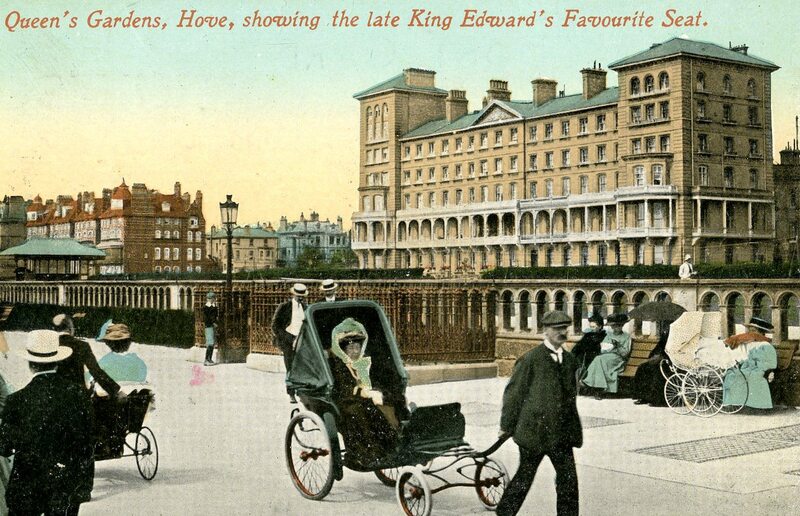 In 1954, Julian Watson of Holland Park Avenue in London received a postcard from Hove in East Sussex, showing the promenade as it would have looked c.1905. The image included strolling men in straw boaters and women in extravagant headgear. It claimed also to feature King Edward VII’s favourite seat.